Enjoy the variety of grilled foods and barbequed foods such as Cowboy Rib Eye, New York Strip Loin and Prime Fillet cuts. Located in Nigeria's capital city, Abuja. 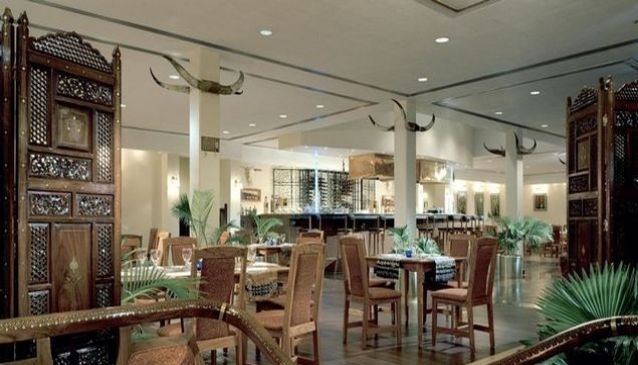 Obudu Grill Restaurant boast of having one of the been one of the best steak houses in Abuja with a unique dining experience that serves the finest steak cuts and grills prepared right before your eyes. They serve Soups,Salads, Beef, Lamb, Veal, Fish, Seafood, Pork and Chicken. As a member you have the benefit of getting 10% off your meals when you reserve your table at the restaurant. Vegetarians are not left out as they have a menu for them at the restaurant.